We are a real-estate development and construction company operating in the island group of Cyclades, in the heart of the Aegean archipelago, in Greece. We develop world-class quality estates, exemplary properties in unique locations. 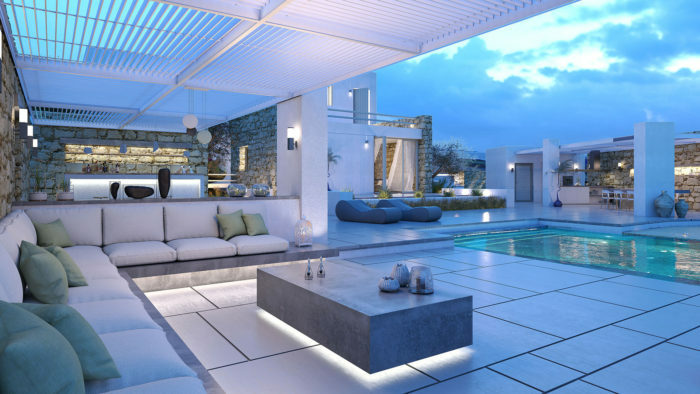 For further information on our projects currently under development in Paros Island please contact us. We deliver to our clients, turnkey-ready to live in, fully furnished estates, luxury villas, where inspiration and sophisticated design meet with idyllic landscapes, bedazzling panoramic views, daring style and high-end innovative solutions, all serving the highest standards of functionality and comfort. Our work is extraordinary, imprinting in every single step of the selection, preparation, design and construction processes, our own in- depth knowledge of the idiosyncrasies of islandic life, our own experiences on numerous successful prime Cycladic projects and our own proactive, client-oriented approach. 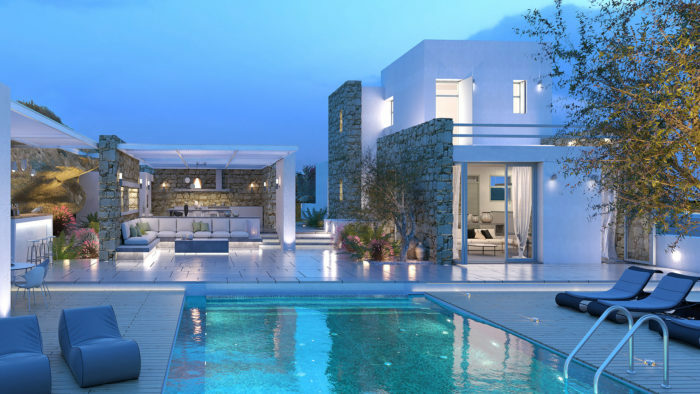 The two Villas are ideally located in Santa Maria, a nature environmentally protected peninsula ‘‘characterized as Natura’’ at the North East end of Paros in close proximity to Naoussa. Facing the spectacular Aegean sea, our Luxurious Villas provide a unique memorable vacation experience.